WAFFLES: My toes! My toes! It's COLD! KATIE: Then don't touch it, Waffles. KATIE: That's because it's snow. KATIE: It snowed last night, Waffles. And not even two seconds ago you had your paw in it and were meowing about how cold it is. WAFFLES: Oh yeah, I forgot. There it is. 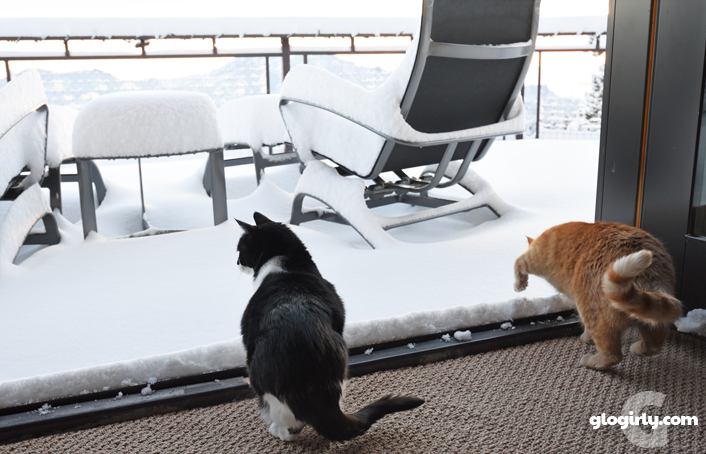 WAFFLES: So this means we're Mountain SNOW Cats! Right, Boss? 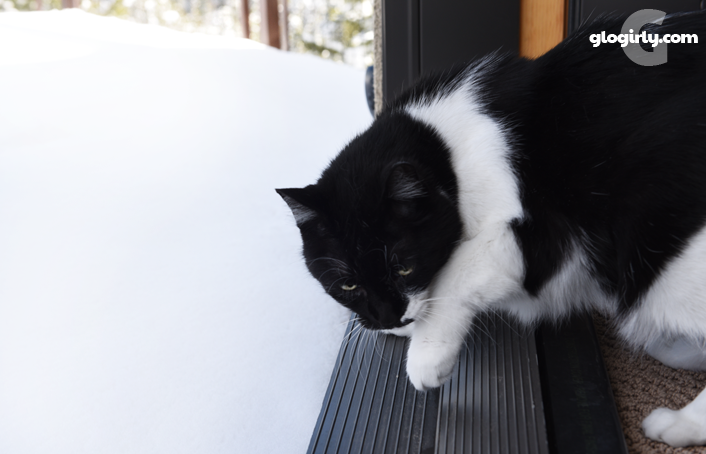 KATIE: Mountain Snow Cats from the comfort of our warm house. When we went to sleep last night, the snowflakes were falling fast and furiously. The TV weather people were urging everyone to stay home. Major interstates and highways were even closing due to the extreme conditions. 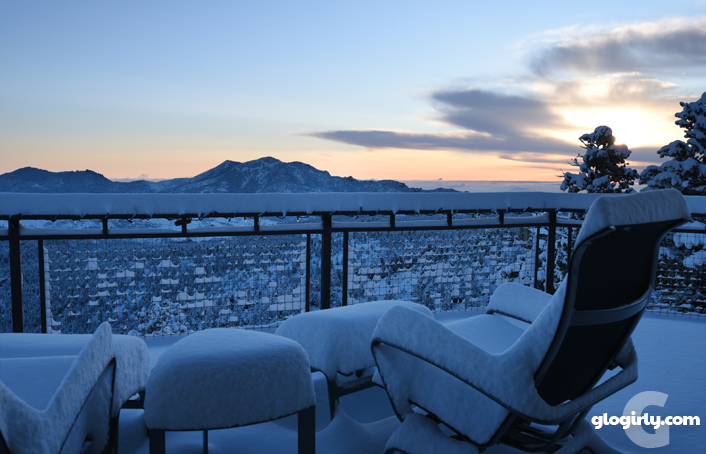 When we woke up the next morning, the sun was kissing the snow. 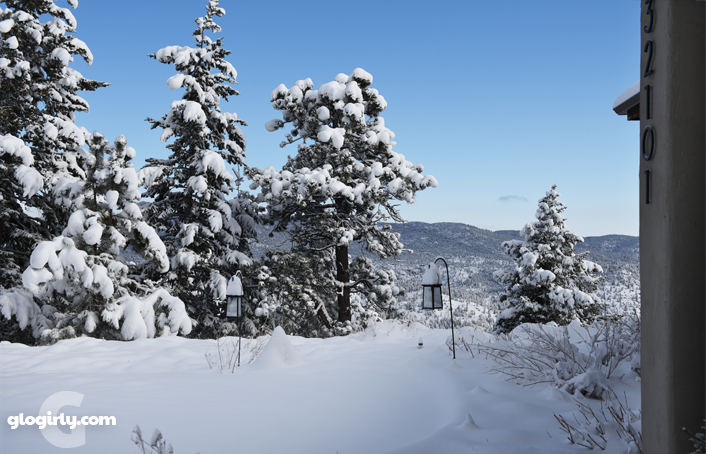 There's nothing quite like the clear, crisp air after a Colorado snowfall. It's like looking through high-def glasses. You can see forever. We got about 8" of desperately needed snow. And by noon it was already half-way melted. Perhaps Glogirly should have waited until the snow melted before she shoveled! Those pretty white peaks are some of the highest in Rocky Mountain National Park. 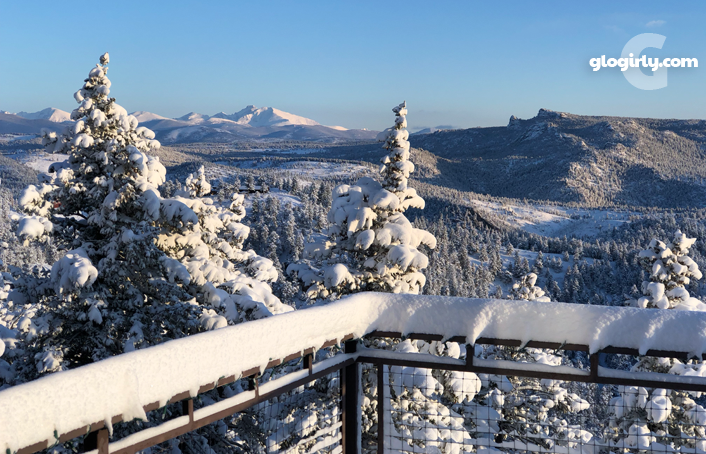 The tallest one is Long's Peak. Glogirly took this one while she was shoveling. That looks so cool! Says the cat who lives in a place where there's no snow and sunshine 95 out of 100 days. My human says if I saw that, I'd be crying like a baby. 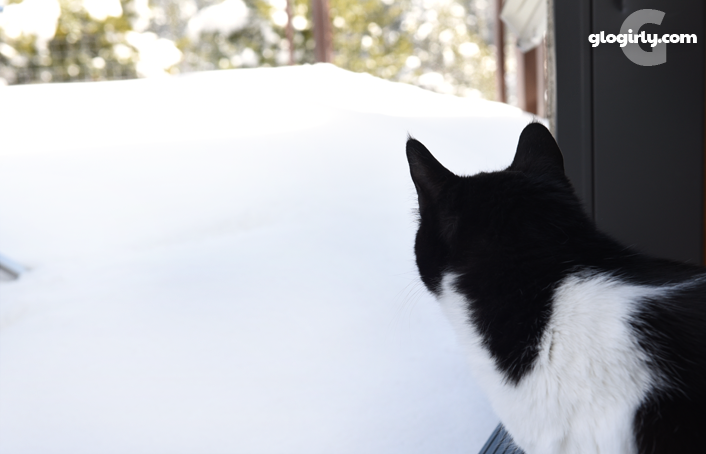 Wow, dat are a ton of snow! 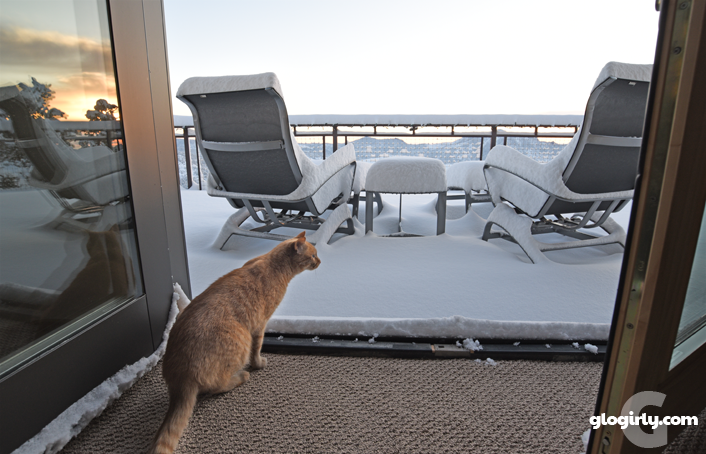 Gosh, that snow looks so comfy on the chairs, good enough to sit on right now. Shame it’s not summer! 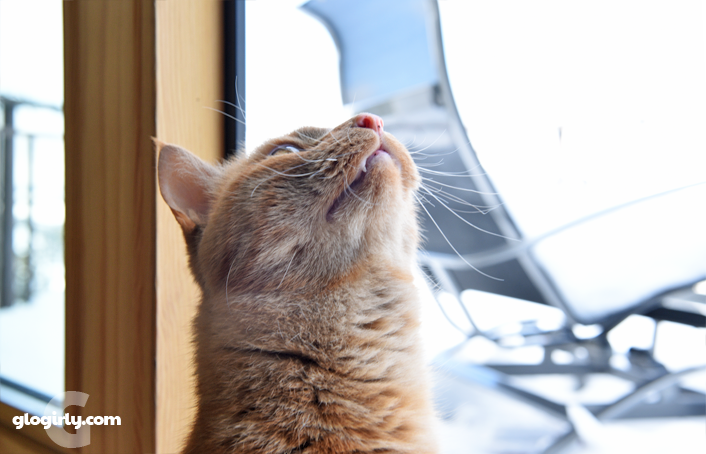 Oh my cat THAT is snow!!!! Fabulous stuff. I saw a bit when I visited England but nothing like this!!! Wow! That’s a lot of snow! It’s beautiful.....but we don’t like to walk in it either. Wowzers! It's a good thing you kits are transplants from Minnesota. We Oklahoma cats could NOT handle that snow and cold! 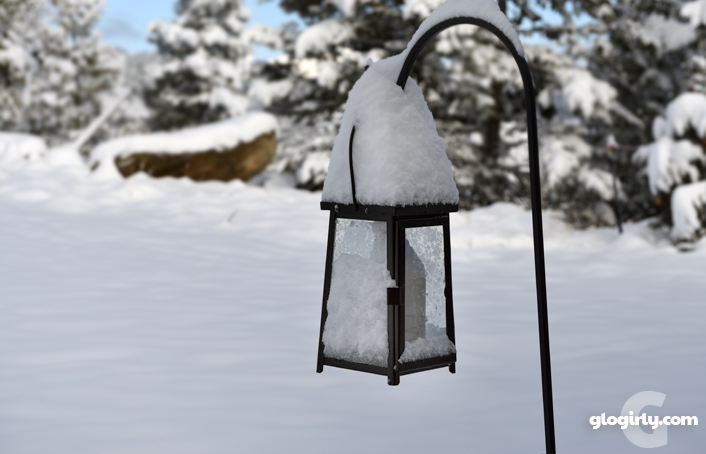 Tell Glogirly thank you for the beautiful photos of your snowfall. Happy Spring! That view - wow! The nice thing about spring snow is that it does melt fast. Beautiful! ! The phrase that doesn’t compute for Z-girl is “much needed snow!” Ha! 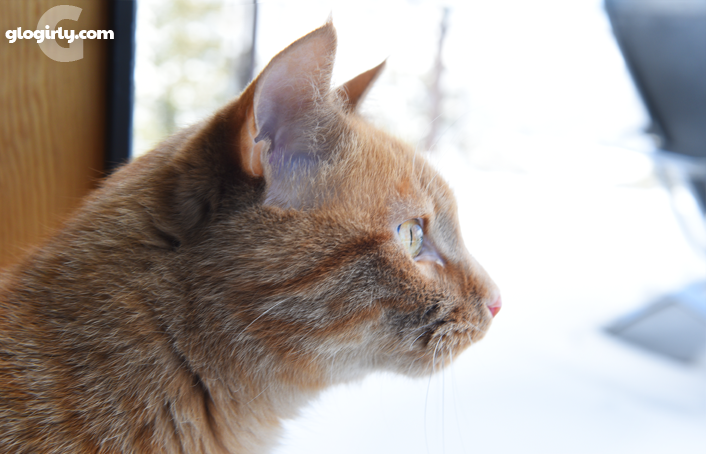 We think you kitties have such a spectacular view of the mountains. Tell Glogirly to be careful shoveling! You live in an amazing place! What views! (I'd use about ten exclamation marks but that would be trite...) My Thaisa is a real CA girl. When we moved to Chicago she put one paw in the snow and ran away so fast I didn't know what happened. Beautiful view. We live in Scotland and my boy just loves rolling about and jumping up and catching snow balls and he has just turned 11. Looks like heaven up there! Be careful shoveling! I notice your girl was nice enough to put two nice comfy chairs out there. One for you, Katie, and one for the Waff. While mum often finds snow annoying, she also marvels at the beauty of it,especially when big,fat flakes softly fall to earth. Winter wonderland is a good expression. It snowed here Sunday evening. Parker stayed inside and didn't go out in it. But when she lived on the farm, she of course went out in it. The snow made her white fur look almost yellow.